Designed by a shooter for shooters, this is a tool that belongs in every range bag, whether you are a rifle, handgun or shotgun sportsman. 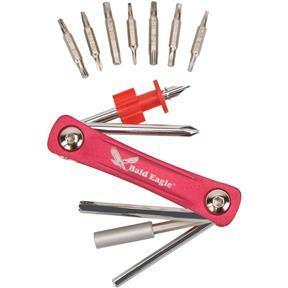 Excellent for tightening action screws, scope screws, which generally require Torx? 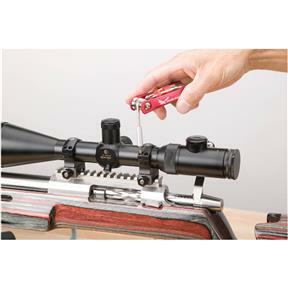 bits, handgun grips and sights that require thin and flat bits as well as the tiny Phillips and flat bits for fixing and adjusting eyeglasses. Comes in a handy storage tube. A handy tool to have available whenever shooting, lots of useful items make up this tool. 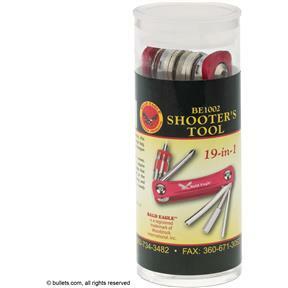 Great product to have in your gun box or range bag. Has all the key sizes included. This was a great value and a good Christmas gift for me and brother in law! This easily fits in my shooting bag and has everything for my guns at the range. Nice feel in your hand and appears to be great quality. This is the perfect tool for the shooter that's on the go. I purchased two, one for my range bag and the other for quick adjustments at the work bench. 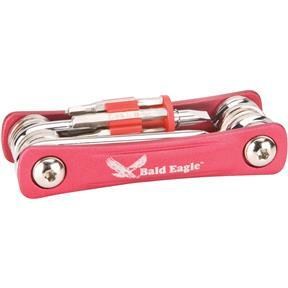 The tool folds up easily and can be stored without much bulk in a jacket pocket or a side pocket of a range bag. I bought this because a friend had one. 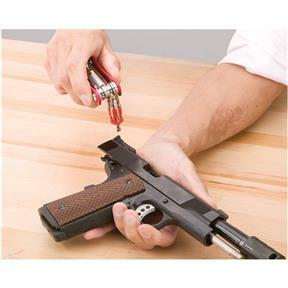 We do air gun shooting and this tool is compact and easy to carry in my gun case. This was a gift for my competitive shooter son and he was both surprised that such a tool existed and delighted to receive it. Thank you. 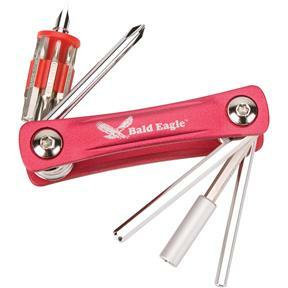 This turned out to be the excellent gift for the gun owner/shooter who has everything.